Stock status is current as of 4/19/2019 5:04 PMET. Fujifilm's Linear Tape-Open (LTO) Ultrium 7 is produced with magnetic particles using Fujifilm's technology. 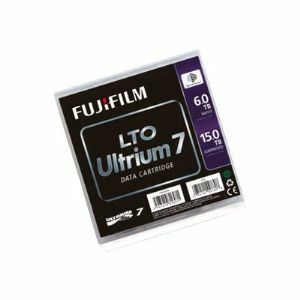 The Fujifilm LTO Ultrium 7 data cartridge offers a super high native/compressed storage capacity and high transfer rates, WORM capability and LTFS dual partitioning functionality to facilitate file management. Fujifilm's magnetic particles are chemically stable leading to enhanced performance and longer archival life.